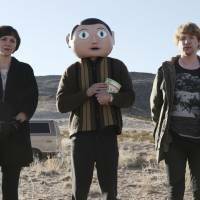 “Frank,” which opens this weekend, is a wildly offbeat and amusing film, but while it differs in its puppet-head particulars, it treads an incredibly common path for this sort of musician-as-head-case story. Look no further than “Greetings From Tim Buckley” for an example, opening Oct. 18, which follows singer Tim’s son, Jeff Buckley, in the days leading up to a memorial tribute to his folk-singer father. For nearly the entire course of the film, Jeff (played by Penn Badgley) broods and sulks, stewing in a Skywalker-sized daddy complex that prevents him from finding his own voice or his own fame with the family name. Keep moving down the list of movies based on the lives of musicians: In “Shine” (1996), pianist David Helfgott goes nuthouse crazy due to pressure and, again, a father complex. In “Control” (2007), Joy Division’s Ian Curtis releases his demons on stage in a short career derailed by a love triangle, epilepsy and, finally, a noose. In “Last Days” (2005), Kurt Cobain mopes around his backwoods mansion, stoned, alienated and surrounded by fake friends, before blowing his head off with a shotgun. In “The Doors” (1991) Jim Morrison is consistently dour, drunk and out of control, but as keyboardist Ray Manzarek often pointed out, nobody would have been in the band with him if he was really like that. And what about “Ray,” “Velvet Goldmine,” “Sid and Nancy,” “Dreamgirls,” “The Rose” and “Immortal Beloved?” You’ll have to look hard to find any stable characters or happy endings in films where musicians are involved. Perhaps I’m too flippant. These musicians had truly tragic stories, and — Sid Vicious excepted — brilliantly transmuted the pain they felt into their art. Yet why is it that the musician-as-head-case story is about the only one we see on-screen about musicians? Why is it we see their tragedies more than the joys of making music? Music, perhaps more so than any other art, plays on our emotions directly, so the tendency to believe that the best of it arises directly from emotional turmoil is irresistible. But, for a simple comparison, try listening to Joni Mitchell’s “Blue” and Tom Waits’ “Closing Time” back to back. Both will send you soaring and pull at your heart, yet the former comes from intensely personal experiences while the latter comes from keen observation and empathic storytelling — fiction, as it were. There’s almost a hint of schadenfreude in cinema’s treatment of great musicians: Audiences envy the person who takes the stage and wins stardom — and all the presumed perks that come with it — as much as they love what they create. Knowing that your sanity is the price you pay for such fame allows everyone else to feel comfortable having not taken the leap. No musician ever rides off into the sunset, content and fulfilled, just as no criminal ever pulls off that one last heist, lest the lifestyle choice seem too attractive. Journalist Christopher Zara, in his book “Tortured Artists,” would see Sievey as par for the course. Zara’s poster boy is, unsurprisingly, the ear-severing Van Gogh. In a HuffPost column, Zara writes, “Van Gogh may have suffered from anxiety, absinthe addiction and debilitating seizures, but his suffering gave him insight, and that insight, in turn, gave the world a new kind of art.” Zara insists that art produced without suffering is not likely to be any good. 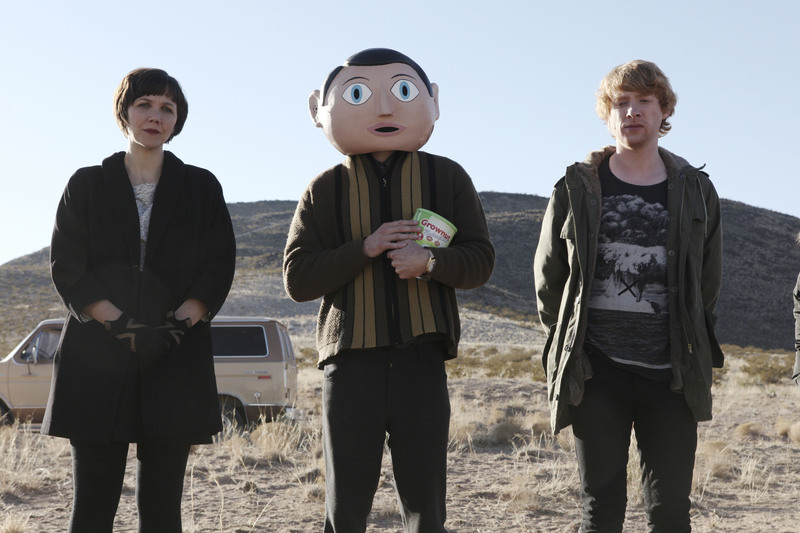 Which brings us back to “Frank.” Late in the film, keyboardist Jon visits Frank’s parents, to try to learn more about the history that ensconced him in the mask. “Torment didn’t make the music,” they tell Jon. “If anything, it might have slowed him down.” For once, a bit of truth.